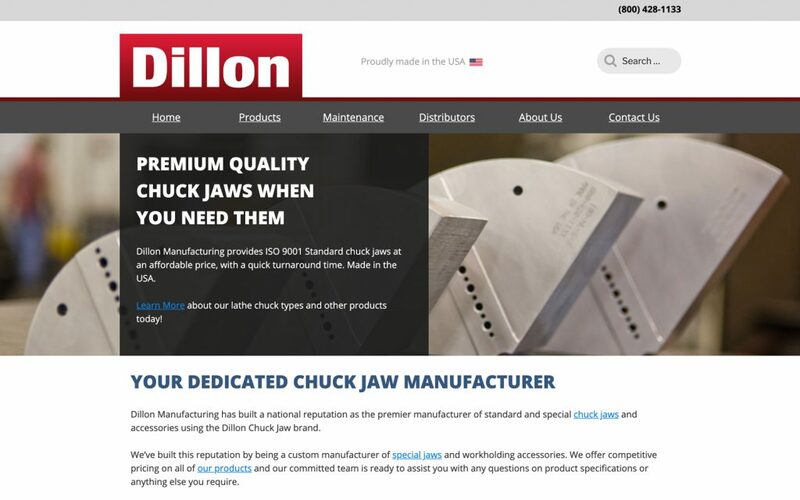 Dillon Manufacturing delivers American-made chuck jaws that customers can count on to help boost productivity and efficiency in their operations. They engaged my client, Sixth City Marketing, in 2018 to design and develop a new custom website for their company. As a web designer and developer for Sixth City, I constructed the site’s wireframes and designed the mockups, and then developed the site once final mockups were approved. When designing the site, my goals were to create a clean design that would facilitate communicating large amounts of technical data and imagery. This project also involved the importing of thousands of product specs via spreadsheets into a new WordPress website. 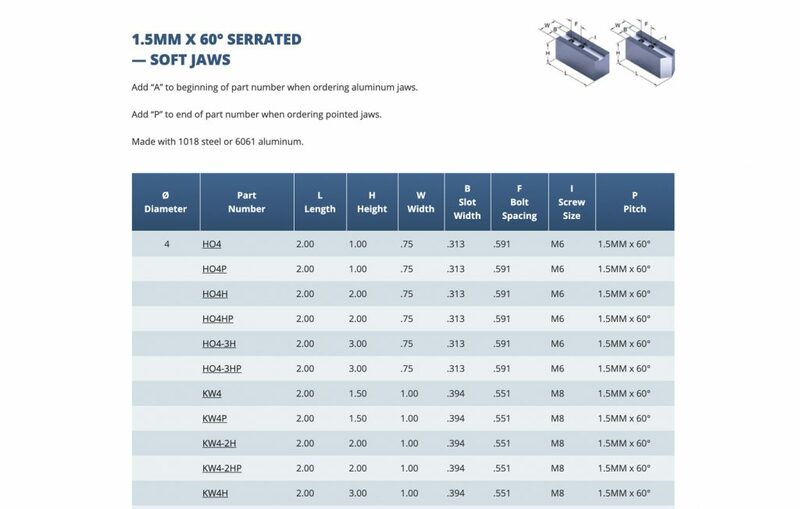 Products and their specs would need to be displayed on the frontend of the site individually and in table format. Are you looking for an experienced web designer and developer for your next project? Please feel free to drop me a line!